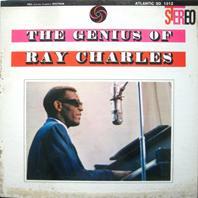 Three years before his Modern Sounds In Country And Western Music, Ray Charles took a foray into the land of uptempo big band jazz and piano-ballads - don't worry it's not on the same songs - and it's foot-tappingly good. Well, then again, a couple of the big band songs are slow ballads, but still a whole other ballgame than the piano and string backed ones. There's a huge difference between the tracks where Ray's doing the uptempo big band stuff like Let The Good Times Roll and the slow tracks where it sounds as if he uses a whole other set of vocal chords (I got the question if I was listening to Sinatra during one of the ballads).